SPRING LAKE, N.C. (WTVD) -- Cumberland County authorities are investigating after a dehydrated dog was found in a locked donation box. Animal Control responded to the Cedarwood shopping plaza at 1052 Lillington Highway in Spring Lake on Friday after an anonymous call was received about a dog trapped inside of a locked, clothing drop-off box. "A good Samaritan was dropping off and called it in," said Lt. Kris Long with Spring Lake Police. "Didn't know if she was alive, she was so weak and wasn't moving." Spring Lake police officers came and cut the lock on the donation box. 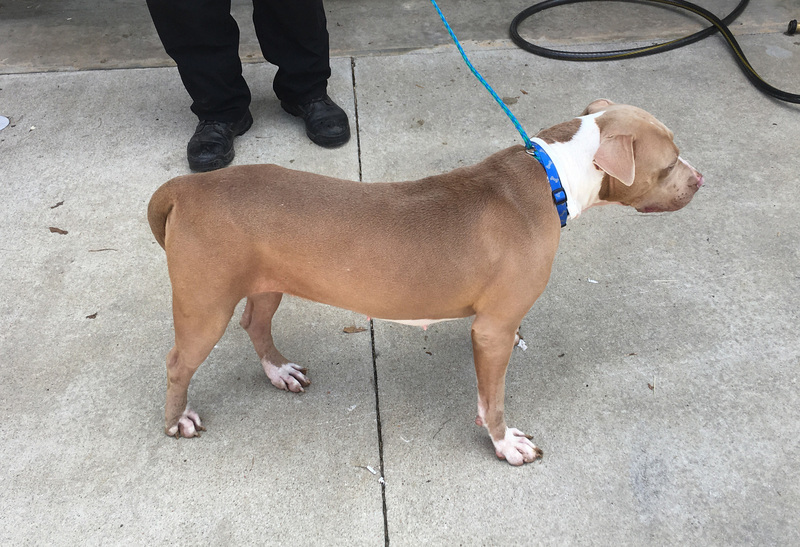 A female, tan-and-white pit bull was found inside. "She seems to be OK," Ling said. "She was put into this box, she didn't climb into it." 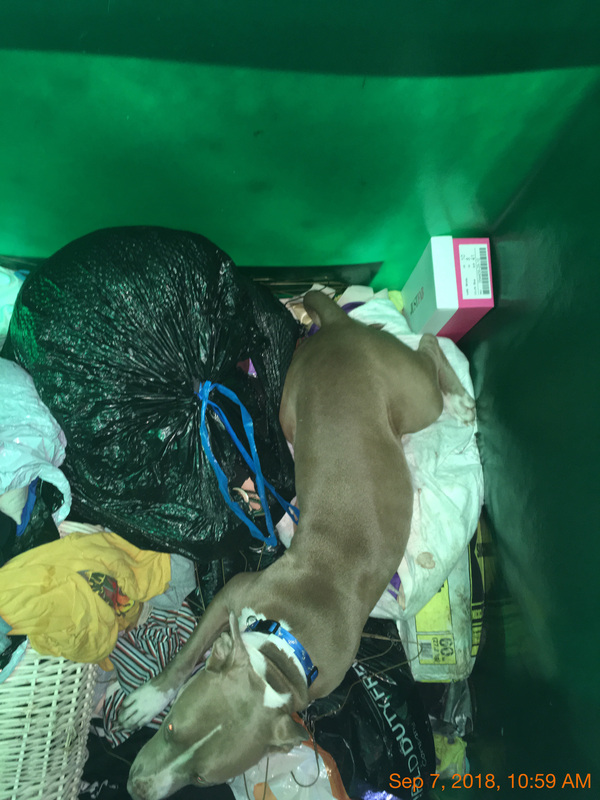 The female, tan-and-white pit bull was found inside of a donation receptacle. The dog was wearing a flea collar as well as a blue collar with bone shapes. She appeared to be in good condition but is being monitored for heat stress. Anyone with information about the dog, can call Animal Control at (910) 321-6852 and ask to speak with Lt. Long or Sgt. Jessica Donovan or they can call the Spring Lake Police Department at (910) 436-0350. The dog will be available for adoption if she is not claimed by her owner after the mandated 72-hour holding period.